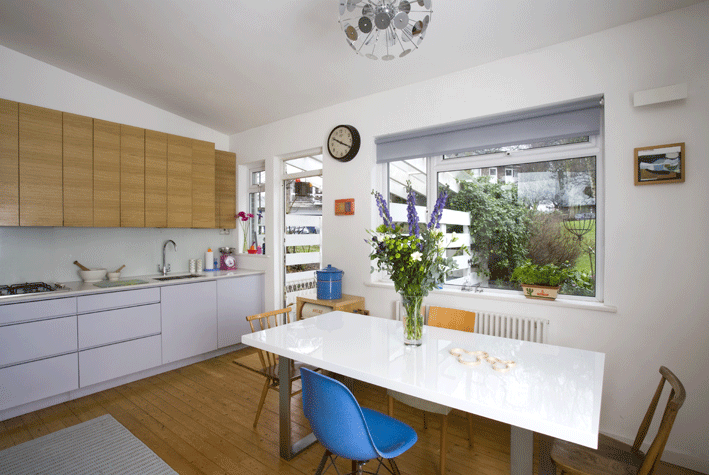 Last month our unusual Mid-Century house in Dulwich was featured in Good Homes Magazine. It is wonderful to see it in print as the renovation journey has been challenging, fun and at times seemed never ending. Bearing in mind how difficult it is to buy a home we are lucky to have had the opportunity. After our previous house, a 4 bedroom Victorian house, we SWORE “never again” ….but when we saw this house all was forgotten. I spotted it on the internet in 2007, these pictures are the very same (complete with womble!!) -and it was love at first sight! 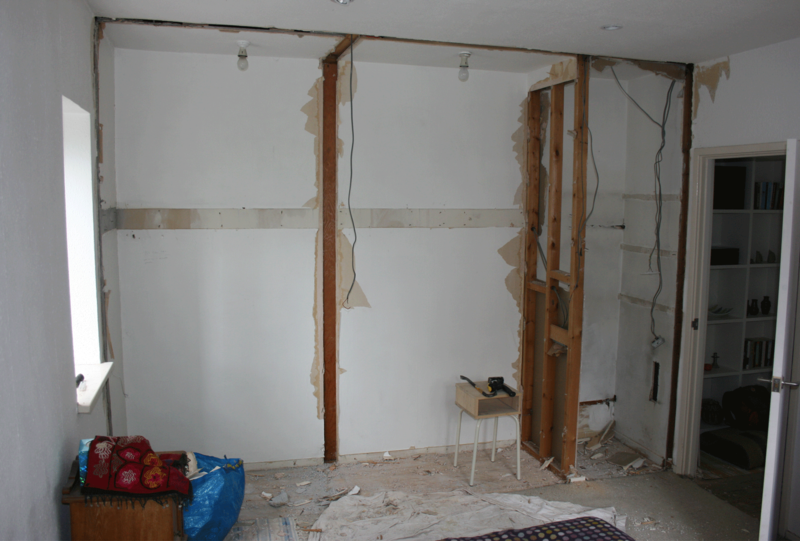 It was in an incredibly poor state and needed new central heating and rewiring, a new kitchen, two bathrooms, replastering…there wasn’t much it didn’t need except windows. 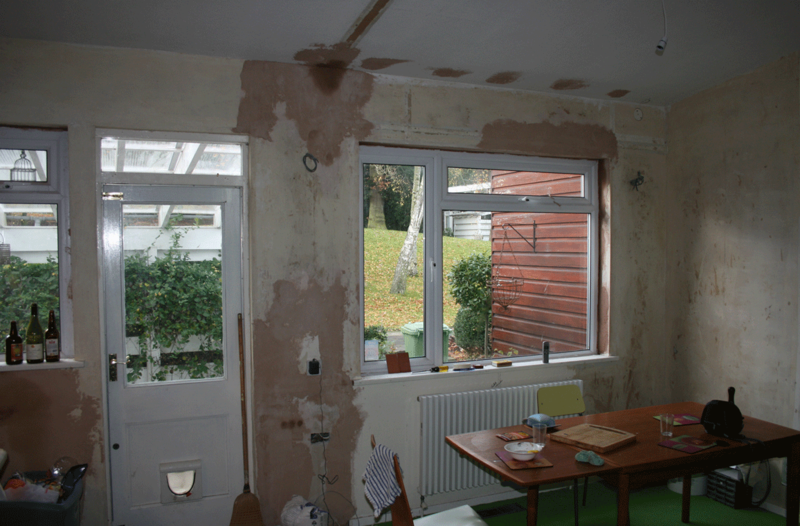 Unfortunately these were the only improvement the previous owner had done – shame they were UPVC…YUK! 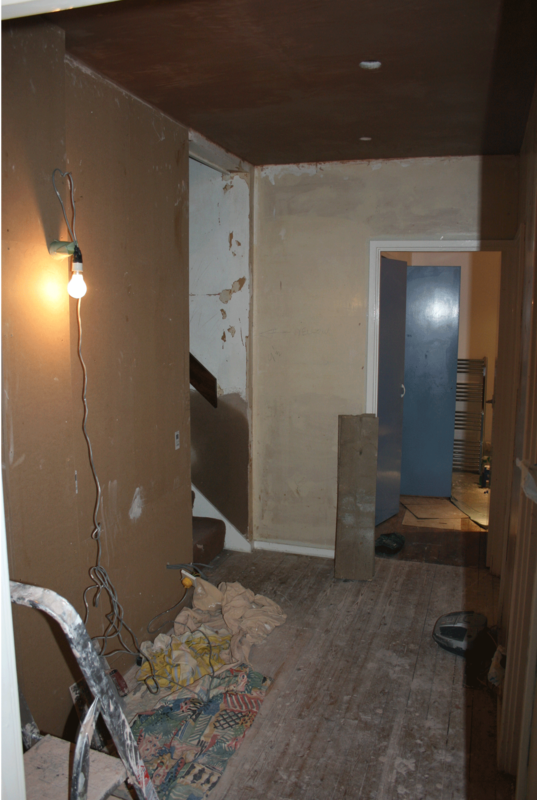 Its prohibitibely expensive to replace with crittall … if we win the lottery…..
How many more bags of plaster ……? The space had such potential, split level and light beyond the nets and ruched curtains (I think that’s the technical term!?). The house was designed in the late 1950′ by Austin Vernon & Partners. 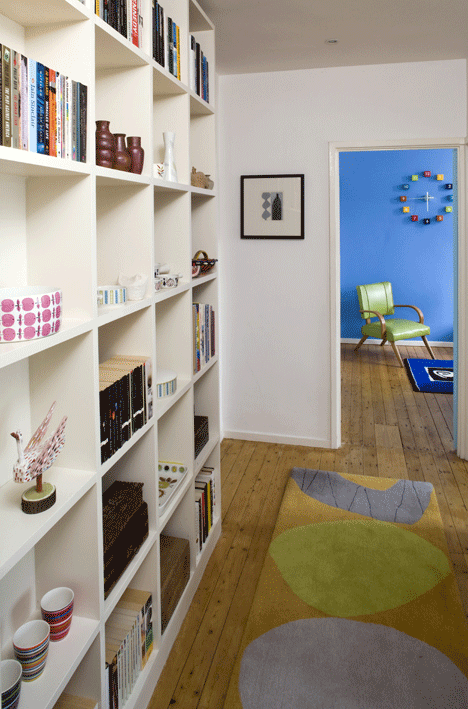 There is an excellent history of the houses of the Dulwich Estate in Mid Century Magazine. Unique design features include the use of internal windows to maximise the views and draw light from every aspect. 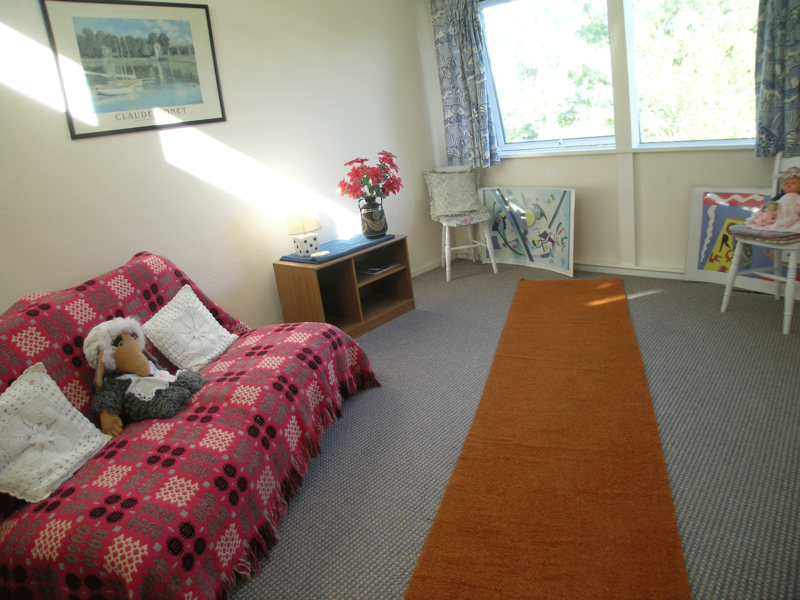 The living room is above the bedrooms and has a huge floor to ceiling window overlooking the woods and city. As you walk in the front door you look up at glass panelled windows, which lead through to the living room picture window. There is a huge internal window in the sitting room which looks down into the kitchen, again from the sitting room you can see the front garden. There are so many clever features to this house, it was so obviously designed with genuine passion and intelligence. If we were ever in the position to commission an architect this would be the house we would hope they would come up with. There is much more about the interior in Good Homes Magazine, which you can now get on their app, so I will keep it brief. 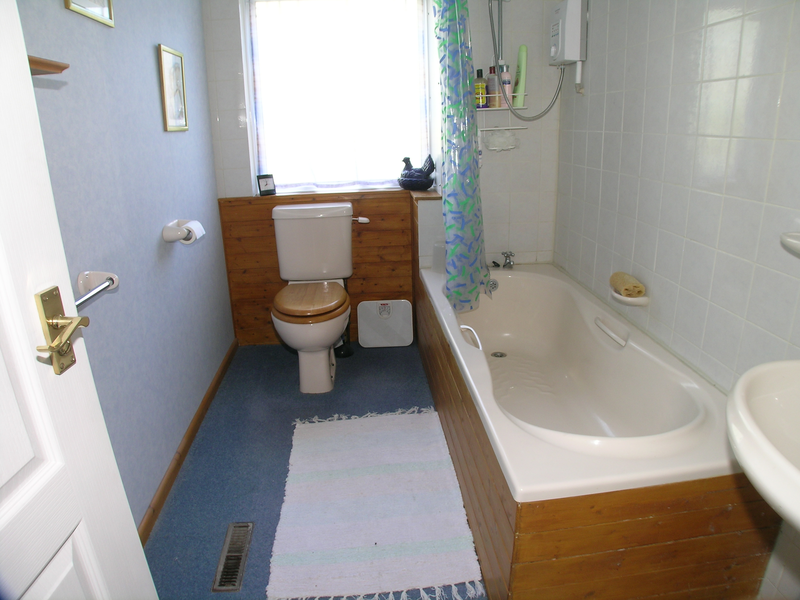 What I will say is some things are done, when you renovate, for practical reasons. 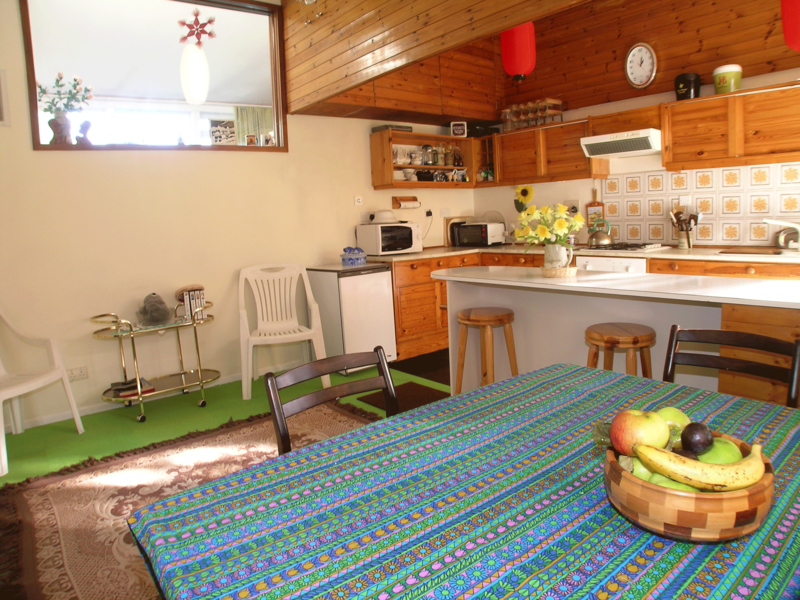 We love wood floors and, if we had had an unlimited budget, would have a beautiful wooden floor with soundproofing laid in the sitting room instead of carpet, a solely practical choice as we sleep below. The fire is the sitting room would have a heautiful stone hearth with a stylish and discreet surround. In practice it is a super efficient coal effect fire designed to heat a large room quickly – warm and cozy which suits us fine! A couple of other things…the dining room table..well we are still looking and saving for a beautiful table….one day. Also on the wish list is a Jonathan Adler sun light, to replace the rather traditional one next to the bed-not really me. Apart from these we are delighted with the house, love the kitchen which my friend Steve Collins made, the hallways, bathrooms and studio. When you buy a house you are really only custodians. Our old house, which we did significant work to, has now been bought by an architect we know. He works for an excellent practice and I imagine they are going to do a loft conversion and kitchen extension. We considered these but, after doing so much, felt we’d like to move on. We are thrilled they bought it and know the work they do will be stunning. 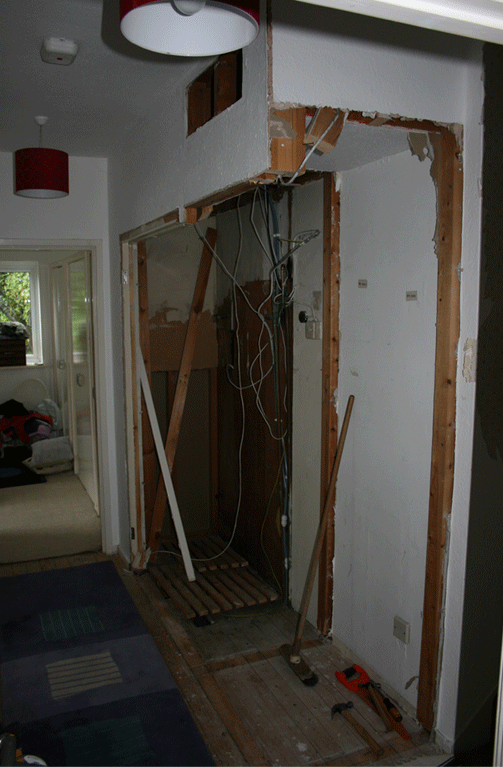 We played our part in bringing that house back to life, as we have done with this. 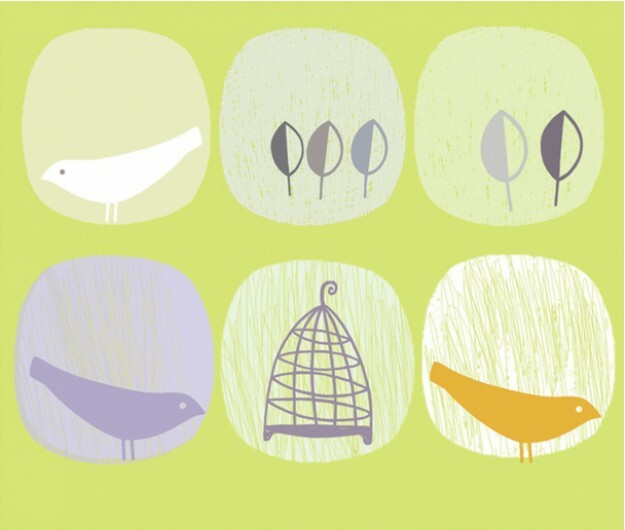 I am an artist and designer making colourful, contemporary woodblocks, mirrors, prints and cards. Most days I design in my South London studio, once a week I join the real world and work at Helen Yardley Rugs. Much of my time is spent drawing in sketchbooks – see drawings post below. 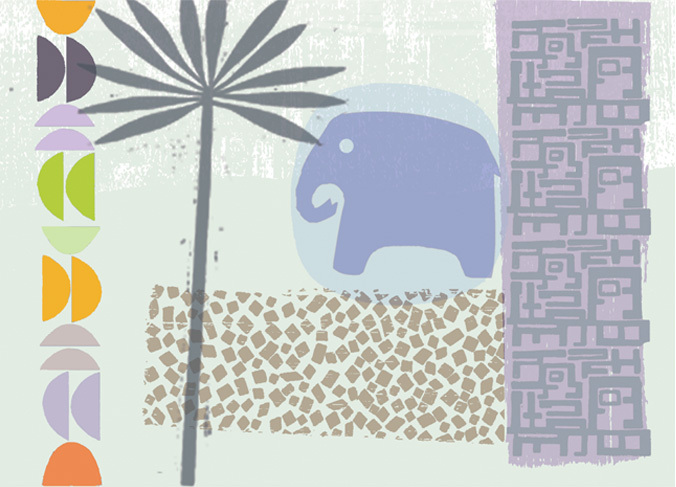 I then cut out paper shapes to use across the range of my work. The overall look and texture of each object is really important to me, I love quality paper and card with texture and weight, or the soft sensual surface of wood. Printmaking is my first love. I studied Fine Art at Manchester and then did a postgrad at Central St Martins. When I finished college I thought…what now? eek! With limited cash to buy materials or promote my work I made a very basic screen press. I then printed tonnes of cards and began selling them. The Conran Shop, Designers Guild and many small retailers bought them. Then Heal’s commissioned me to make an accessories range, their success enabled me to concentrate on more commissioned artwork. I’ve since made loads of commissions, done numerous shows, met great people – colleagues and clients. I really enjoy working on creative projects as part of a team, and I make work with as much passion as I had when I left college, and still use the same basic press I began with…. 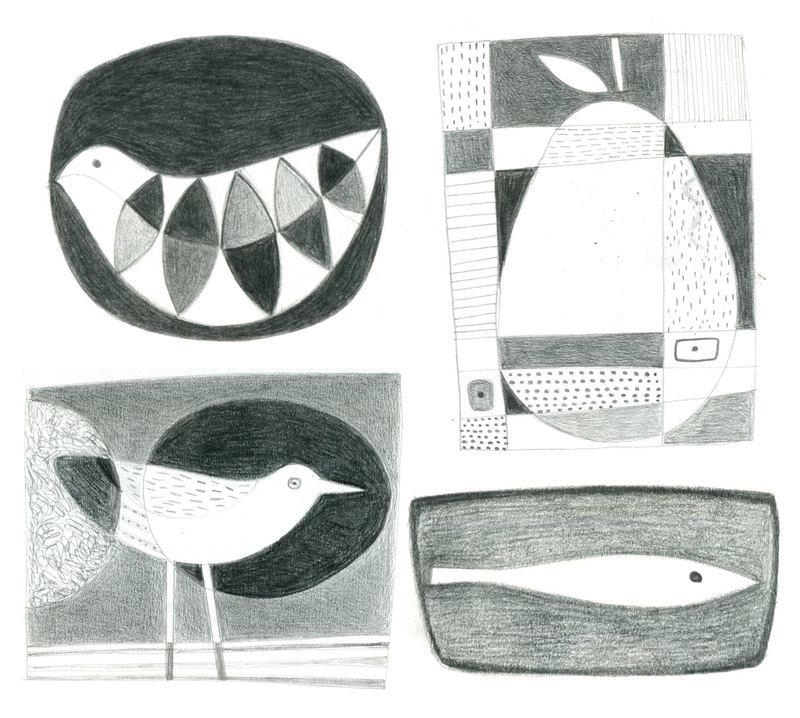 Everything I make starts with drawings – I love pencil drawing and have tonnes of sketchbooks. Anytime I’m sitting down listening to music or half watching a film, I’m drawing. I’ll go through my sketchbooks and find some drawings made ages ago and they may well be the start of new work. I put my sketchbooks out, almost as an afterthought, at our recent Open House, and people really enjoyed looking through them, so here are a few snippets. They are not finished , smart, tweeked – simply ideas. I have such a diverse range of interests and social media has got them covered – Colour, Art and Design, Interiors, Suppliers, Buildings, Community issues. The aim of this blog is to share my work and invite others to share theirs. When you hover over that link you have no idea what hidden gem lies beneath. I’ve met some really interesting people on my short journey on the web, and hope to meet many more. I enjoy sites which tell a story and genuinely do not presume you will be more interested in me that I am in you. Tell me about you – what you do? what you make? why, how? Here is a tiny taste of some interesting sites-either for what they do, or what they say or how they say it. I will put more on as I go along-as I get better with the technology… any lovely shopfronts/buildings/galleries – I’m always interested in these. Really look forward to hearing from you.